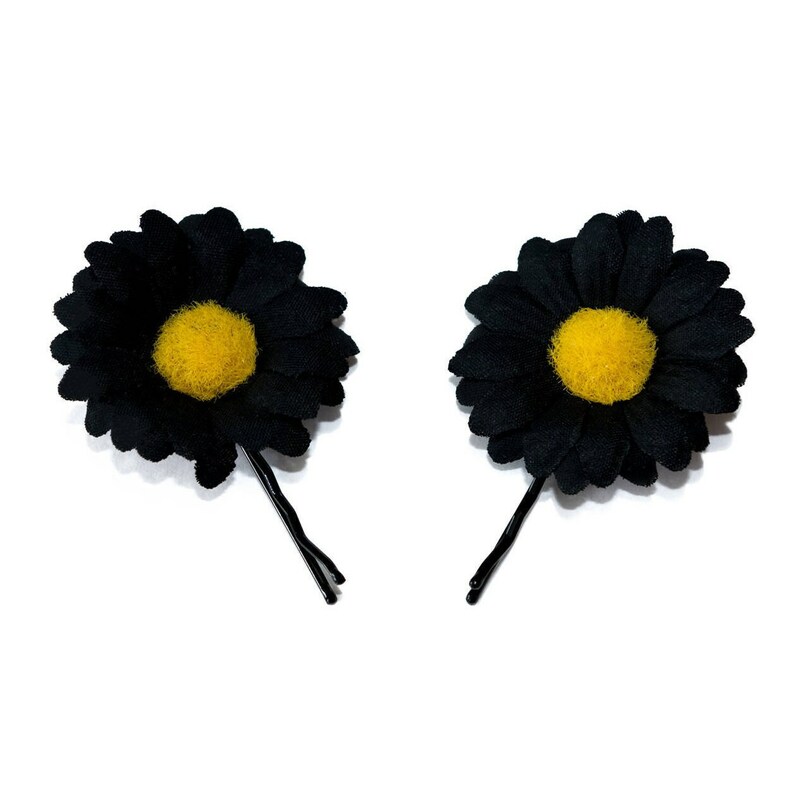 Wear these hand-painted, silk black daisy / flower bobby pins to any occasion, concert and festival--people will fall in LUV with your look! Product Details: Flower bobby pins come in sets of 2, 4 or 6. Each daisy is roughly 1.3"-1.5" in diameter.